In keeping with MEBO Research’s focus of uniting sufferers from all corners of the globe with experts so that no one will ever have to feel the humiliation and isolation of living with uncontrollable body odor, a great deal of work has gone into paving the way and building a foundation to create an International Test Program. It is no wonder that an international test program such as this has never been done before because it is most certainly not financially profitable, and only committed volunteer hours, weeks, months, and years of hard work can make it come to fruition. 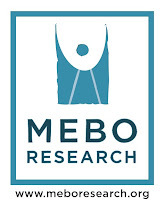 MEBO Research is a non-profit organization that has no income other than donations received from time to time. All the work that has been accomplished so far has come from the hearts and dedication of its volunteers. MEBO’s efforts and commitment will not cease until any and all sufferers anywhere in the world have within their grasp the means to understand the cause of the problem through proper testing, and to receive the proper medical treatment necessary to manage it. It is no wonder that an international test program such as this has never been done before because it is most certainly not financially profitable, and only committed volunteer hours, weeks, months, and years of hard work can make it come to fruition. Three and a half months ago, MEBO and Eliapharma Services Inc., decided to create an International Test Program that would conceivably lead in the long term toward obtaining research grants in hopes to learn more about the causes of the various body odor conditions and to find treatment and a cure. We were fully cognizant of the fact that it would take a great deal of time, a significant financial investment, mostly initially made by the lab Eliapharma, and a great deal of volunteer work to develop such a program. Contrary to MEBO, Eliapharma is a for profit business. However, while they are looking more toward long-term goals, they are keeping in mind that we don’t have much money, and that we need to keep the price of testing as low as possible. With this in mind, MEBO and Eliapharma decided to begin our International Test Program initially with TMAU Urine Testing, and hopefully progressing to other tests and research projects. While the lab was performing all the preparations and calibrations necessary to accurately run the test, MEBO Research began the long and arduous process of setting up the shipping service with negotiated FedEx shipping rates and complying with international documentation requirements. 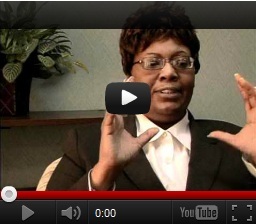 Little did we know just how extremely complex and involved this process would be. I must say that FedEx has been extremely instrumental in guiding and training me in this endeavor, as they have not only worked on a discounted shipping rates plan for us, in spite of the across the board rates increase in 2011 of most major shipping carriers, but they have also provided me with many hours of training on the very complex international shipping requirements, since our aims involve almost every country in the world, and each has its own import/export laws, taxes and duties, homeland security programs, etc. So far, I have spent countless hours, weeks, and months preparing documents required by the North American Free Trade Agreement (NAFTA, involving Canada, US, and Mexico), Dangerous Goods declarations forms (since the kit carries Hydrochloric acid), declarations forms on contagious/non-contagious biological samples (since the kit returning to Canada will contain urine), Certificate of Origin from the each manufacturer of each item included in the kit (such as gloves, vials, HCl, shipping boxes, ice pack, ziplock bags, etc), Power of Attorney forms allowing FedEx to serve as Brokers for MEBO and Eliapharma when needed, Agreement to Maintain Books and Records outside of Canada form, and other forms as well. These are the only the forms needed for NAFTA, which also meets the requirements of many other countries, but as we progress to other countries, there will be additional forms required. Each form needs to be filled out according to strict specifications, and FedEx has been very instrumental in showing me how to do each one. Once this foundation is firmly established, we will be able to grow in leaps and bounds, and expand beyond those boundaries that have always prevented our international community from uniting and from letting our presence and our needs be felt in the scientific, medical, and political arena. As a result of such complicated and involved procedures, we have currently only begun shipping kits domestically, within Canada from where the lab sends out the kits. Now that almost all the documents seem to be up to standards, we will soon begin shipping to the United States and Mexico, and very shortly thereafter to persons on the waitlist from Guatemala, Colombia, Argentina, Peru, Ecuador, Venezuela, Poland, Spain, Finland, Portugal, Macedonia, and Australia, to name a few. So far, it has taken us over three months to establish a strong foundation upon which to build this program. I have been very cautious and meticulous each step of the way because it is imperative that the forms are filled out exactly as required to avoid fines, or in the worst case scenario, to prevent Customs from destroying the samples, resulting in the sufferer having to repeat the test involving another choline load and sample collection, freezing and shipping process. I have committed to do everything in my power to ensure that this will not happen. I continue to proactively look for any possible form and documents I may need to fill out to ensure that the requirements of Customs Agencies of all the countries we will ship to will be fully satisfied. I do apologize if this initial process of our new International Test Program seems to be slow moving, but I believe doing this process carefully and correctly would represent building a solid foundation for us to flourish upon. Once this foundation is firmly established, we will be able to grow in leaps and bounds, and expand beyond those boundaries that have always prevented our international community from uniting and from letting our presence and our needs be felt in the scientific, medical, and political arena. I firmly believe that this is the way to accomplish this goal successfully, building a strong foundation, one document at a time, one country at a time, one test at a time. We are heading in the right direction thanks to everyone who has signed up to be a part of this process. Participation and support in this program is greatly appreciated for the greater good.